The Schroth scoliosis program administered by Dr. Marc and our team is based on the protocols Dr. Moramarco learned at the Asklepios Katharina Schroth Clinic, Germany. Instruction also integrates the newest innovations, updates, and additions to Schroth method exercises. These important modifications, devised by Dr. Hans-Rudolf Weiss (grandson of Katharina Schroth), are now called Schroth Best Practice®–formerly Scoliologic® and incorporated into every patient program. We train each patient in activities of daily living, as well as spinal mobilizations and simple 3D corrective exercises called 3D, Made Easy®. 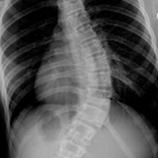 Dr. Moramarco and his team take pride in offering what they consider the best treatment program for scoliosis. Our program incorporates the most current Schroth protocols, is comprehensive and highly personalized and efficient. We provide detailed instruction and close every program by making a video of each patient that includes every component of the program so that there is no confusion for the patient once they return home. The results our patients have attained are impressive. View some of our patients’ Schroth method results. We offer intensive instruction during our seventeen-hour program which is normally recommended for patients with moderate or severe scoliosis who want to learn everything possible to take control of their spines and avoid surgery. We custom-design each Schroth program and make recommendations according to each patient’s individual spine. All patients will learn to correct their postural stance while standing, walking, sitting etc. according to curve-pattern specific classifications and guidelines according to the Augmented Lehnert-Schroth classifications. Our goal is to teach patients to stabilize their spines to counteract the likelihood of spinal curve progression as well as to reduce any associated symptoms of scoliosis they may be experiencing (this is particularly true for adults). The scoliosis program is best delivered as an immersion program! Most out-of-state or country patients who come to learn curve management complete the program within five days. Patients local to the Boston area, or within a reasonable driving distance, can choose to spread their appointments out a bit more but we recommend completing the program–start to finish–within about five weeks if possible. This is especially important for adolescent scoliosis patients because they need to acquire all the necessary skills to manage their scoliosis in the real-time, not in three, four or six months when additional growth and possible progression has continued to occur. Patients with mild scoliosis (11º – 24º) typically require less instruction and depending on the patient’s age and maturity level we typically advise starting slow for younger patients or do a twelve-hour program for kids ten and over. Programs are truly custom-created and will depend on each individual patient’s unique circumstances.